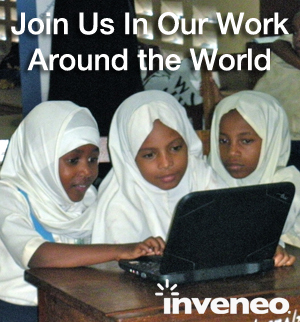 It’s never too early to encourage a young girl to enter the growing ICT field. “Girls in ICT Day” was created to help young women appreciate and understand their potential – and to let them know how many diverse ICT career options are really available to them. Young women have all the potential and talent to become great leaders, but they do so partly because of the women who forged ahead of them and helped paved the way. Meet a few women who have worked in ICT for many years, some of them at mission*social – a unique shared workspace in San Francisco where our offices are located. These women have helped shape ICT to what it is today. Young girls celebrating Girls in ICT Day can look up to women like these to understand what it truly means to be a leader. As the Senior Director of Strategic Partnerships for the Institute of International Education, Heather Ramsey tirelessly leads the State Department initiative known as TechWomen in 16 countries. Techwomen brings emerging women leaders in Science, Technology, Engineering and Mathematics from the Middle East and Africa together for both professional mentorship with their counterparts in the United States. She also works to oversee Women’s Enterprise for Sustainability, Tunisia, a training and capacity building program for women-led organizations. Previously she worked at Women in Technology where she helped provide cutting-edge training and coaching for women in business planning, professional development, information technology and entrepreneurship. Within the ICT world Kristin Peterson is one of the leading entrepreneurs of her day. In 2004 she co-founded a non-profit ICT organization called Inveneo which has grown to deliver sustainable ICT and broadband projects that reach and impact over 3.2 million people around the world. More recently she founded the company Volo, a “start-up connecting the next billion to the Internet”. Although her new company is only eight months old, its online community has been steadily growing. She has received multiple awards including the World Economic Forum’s 2013 Social Entrepreneur of the Year Award from the Schwab Foundation and the 2011 ITU World Telecommunications and Information Society Award. In addition, she was a CNN Principal Voice back in 2007. As Inveneo’s Manager of Special Projects, Jill Costello puts her heart and soul into her ICT initiatives, including Internet Now!, a project that is establishing 100 ICT work centers in rural communities across northern Uganda. Before coming to Inveneo, she built the Maranyundo School where she helped to establish a school for underserved girls in Nyamata, Rwanda. Classes offer these girls not only a high-quality education, but also a great way to get online and connect to the world. The school enrolls 60 students each year, and Maranyundo now ranks #1 among all middle schools in Rwanda. To further her passion for ICT and social justice, she also founded Pannotia, a social enterprise that provided construction services and collaborative design for sustainable projects in Africa. Sybille Fleischmann is a proven self-starter. She founded her own company POSSYBIL, focusing on project management for communities in developing countries with a focus on digital inclusion and education projects. Her list of clients includes Imagine Education, Microsoft, NetHope and See Your Impact. Previously she worked at Inveneo both as the Director of Education Solutions and as the Country Director in Haiti. She planned and implemented the Haiti Connected Schools program which was created after the tragic earthquake hit in 2010 and provides 40 rural schools with solar-powered computer labs and computer training training for more than 400 teachers in rural Haiti. As County Director in Haiti she led the expansion of the The Haiti Rural Broadband Network to connect 20 rural communities in Haiti to the Internet, and built local capacity to expand and maintain the network. Before shifting her focus completely to work in international development Sybille worked for 13 years at Microsoft in Germany and The United States. For several years she drove innovative technology projects as a project manager and product planner and later managed the solution development and deployment for large scale pilot programs at schools in Peru, Uruguay, Colombia and Rwanda. These four women have made, and will continue to make, giant and positive impressions in the world of ICT projects. Collectively speaking, they have helped several million people gain access to sustainable computing technology and solutions worldwide. Girls who are participating in Girls in ICT Day should try to find mentors and teachers who are like the women mentioned above. Young people, especially girls, are the future leaders of tomorrow, and the next step is for them to learn from the leaders of today.